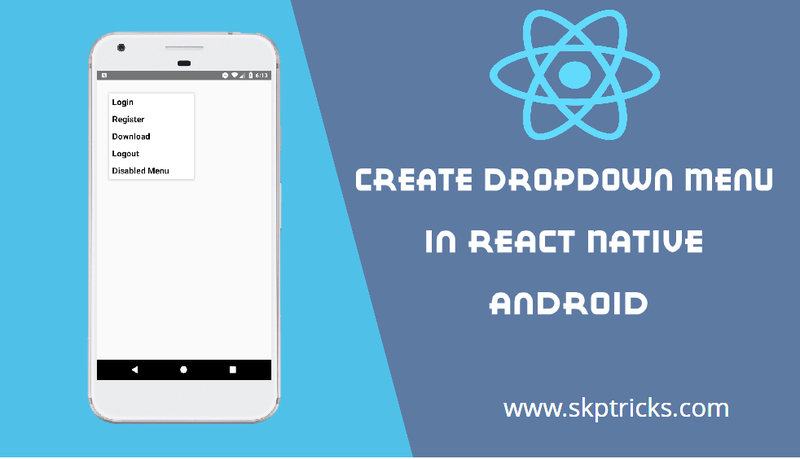 This tutorial explains how to create simple dropdown menu in react native application. The dropdown menu is most common and integral part of every mobile application, that helps user to move or navigate between different windows/screens of mobile application by selecting the option from the dropdown menu list. 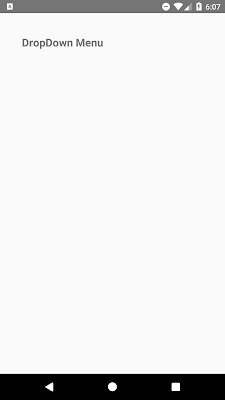 This dropdown menu works perfectly in Android and IOS device without any issues. In this example we are going to create simple dropdown menu, it consists of few options in dropdown menu list. When user select any option from the dropdown list, then it will display selected item in alter box message. Lets follow the below steps to create simple dropdown menu in React Native. 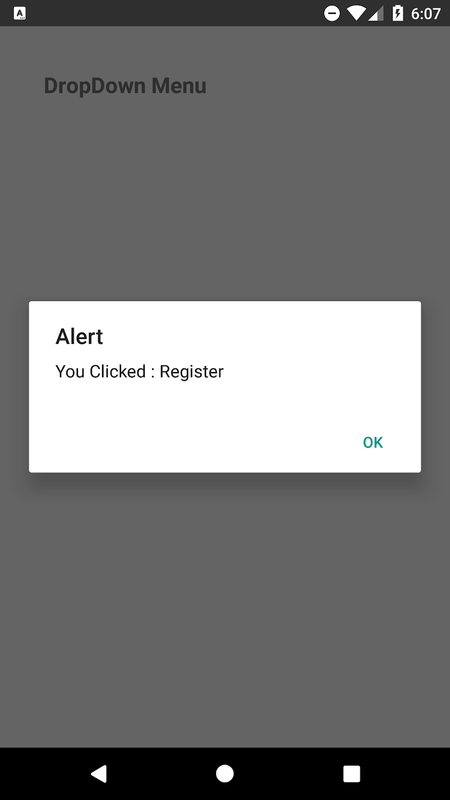 Step-3 : Install the react-native-popup-menu package in your React Native project. Refer the below screenshot, while installing react-native-popup-menu package. Once installation complete check you package.json file in react native application. 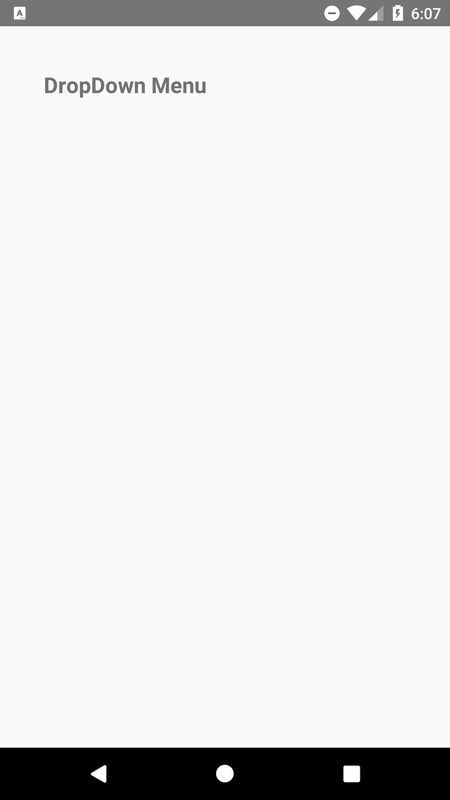 You will find react-native-popup-menu installed version in dependencies section. Step-4: Through react , react-native packages import all required components. Step-6 : Implement render method and return Menu component wrapped by MenuProvider component. check below component structure for dropdown menu. Step-7 : Apply the below style sheet design. 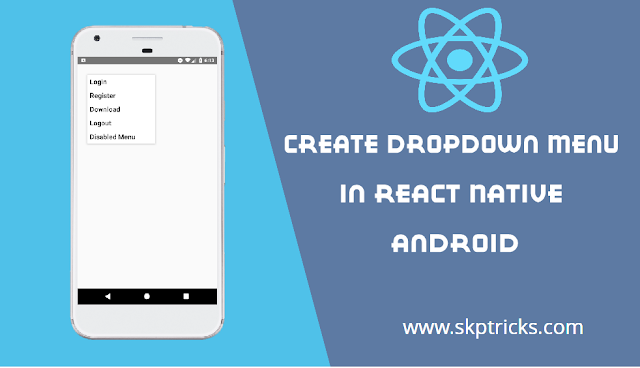 Lets see the complete source code that helps to create simple dropdown menu list in react native application. 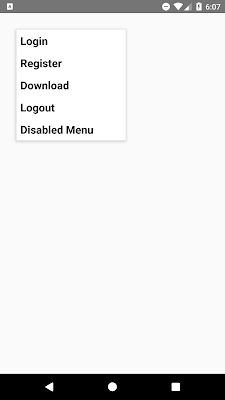 This is all about react native dropdown menu. Thank you for reading this article, and if you have any problem, have a another better useful solution about this article, please write message in the comment section. Great Tutorial but, why its not selected the Item ?